We offer 12 clean, comfortable, all ground-floor units that are serviced daily. 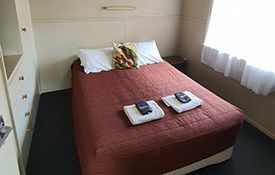 All units have a TV and free wireless internet. 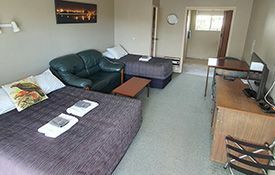 Close to town centre, shops, restaurants and cafés and cycle/walkways. 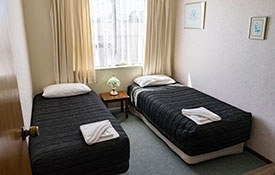 A separate guest laundry has coin-operated washing machines, a clothes dryer, an ironing board and an iron. Large, secure off-street parking available for vechicles and bikes can be locked away in a secure area. A barbecue is available for guests. 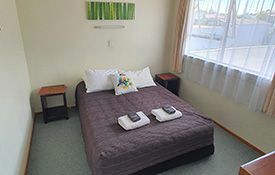 Studio room with queen-size bed, cooking facilities, fridge, TV, heater, breakfast bar. Separate bathroom with shower and toilet. Free wireless internet. 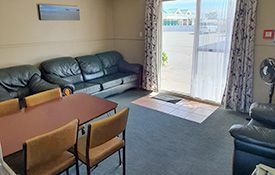 Spacious unit with queen-size and single bed, separate bathroom with shower, vanity and toilet, kitchen with cooking facilities and fridge, TV, heater. Wireless internet. 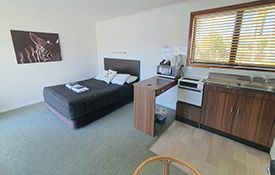 Roomy unit with queen-size bed in living area and 2 singles in separate bedroom. Separate bathroom with shower, vanity unit and toilet. Separate kitchen with microwave and fridge. 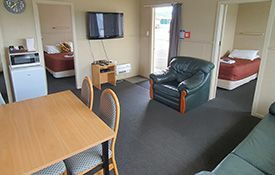 TV, heater, leather lounge suite, table and chairs. Note: This unit is below the managers living quarters, you may experience movement noises. 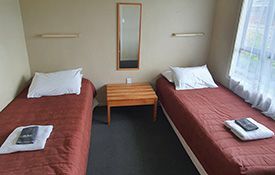 2-bedroom unit with 2 singles in each room. Separate bathroom with shower, vanity unit and toilet. 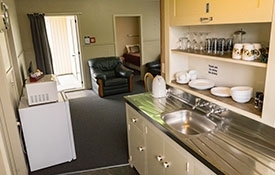 Separate kitchen with fridge and microwave. Lounge with TV, table and chairs, lounge suite. Wireless internet. 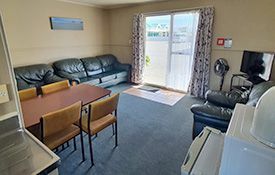 2-bedroom unit with queen in one room and 2 singles in other. 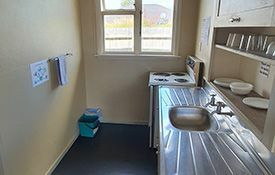 Separate bathroom with shower, vanilty unit and toilet. 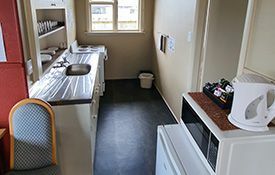 Separate kitchen with fridge and microwave. Lounge with TV, table and chairs, lounge suite. Wireless internet. 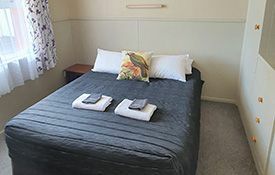 Large family unit with queen-size bed in one room and 3 singles in other. Separate bathroom with shower, vanity and toilet. Separate kitchen with fridge and microwave. 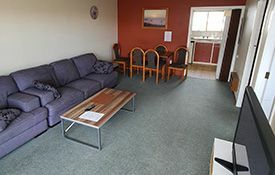 Large lounge with TV, table and chairs, leather lounge suite. Wireless internet. Spacious 3-bedroom unit with queen-size bed in one room and 2 singles in other rooms. Separate bathroom with shower, vanity and toilet. 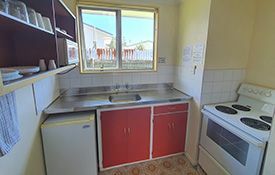 Separate kitchen with fridge and microwave. Lounge with TV, table and chairs, lounge suite. Wireless internet.